In the last few years, I really got into taking baths in the late Autumn and Winter. It's such a nice and easy way to relax and pamper yourself in the cold winter months, and I especially love to treat myself around the holidays with some Lush goodies. 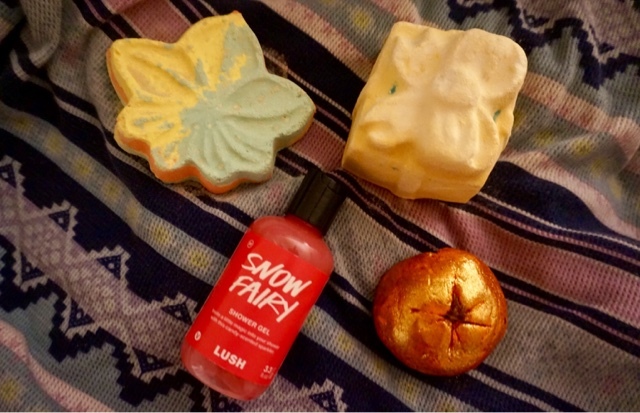 I went ahead and picked up a few items from Lush (definitely held myself back from going as crazy as I have in the past) and I thought I would share them with you! I love Lush's Bubble Bars because they had a little color to your bathwater, a bit of a scent, and a lot of bubbles! They are also really easy to use and reuse since you can break off little pieces of the bar to create multiple bubbly baths. I love sparkly pumpkin because it adds some pretty glitter to the bath, and also smells woodsy, but also citrus-y... the perfect scent for a Fall bath! 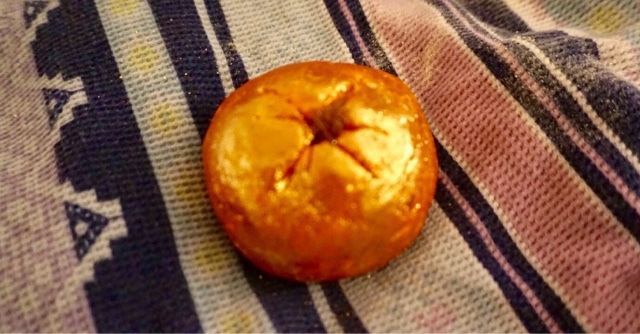 This bath bomb is a new pick for me this year, but I feel like I am going to love it. 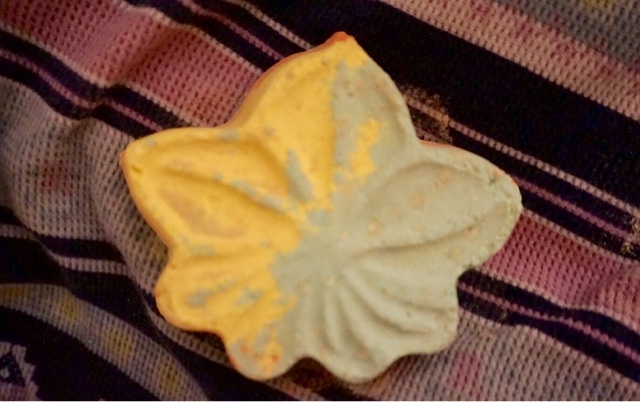 The colors are beautiful, which is sure to create a colorful autumn-leaf inspired bath, but it also smells really fresh and relaxing, almost like a a crisp fall day. Lushies will know this cult-classic that returns every year for Christmas. For those who do not know, Snow Fairy smells like cotton candy and vanilla. It's very sweet, so stay away if you do not like sweet scents, but I absolutely love this pink, sweet, and glittery shower gel. It also lasts on my skin, hair, and lingers in my bathroom long after using it. 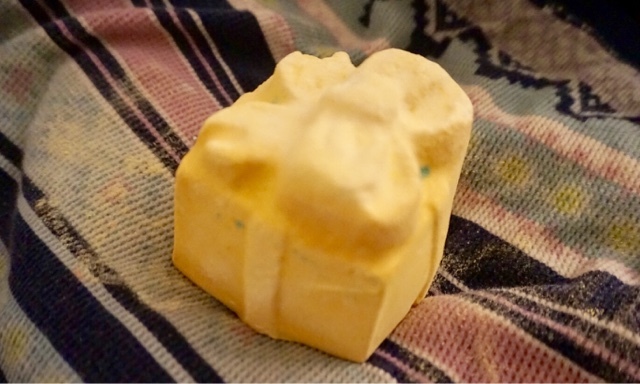 What are you favorite seasonal Lush products?